Ethernet is a widely-used high performance networking technique for local area networks (LAN). Because of it's easy and inexpensive implementation, it is a very popular and reliable technology. When invented it had a transmission rate of 2.94Mb/s and could support 256 devices over cable for 1km using CSMA/CD. To match with the high speed network requirements, it was continuously updated so now it supports a maximum data rate up to 10Gbps. 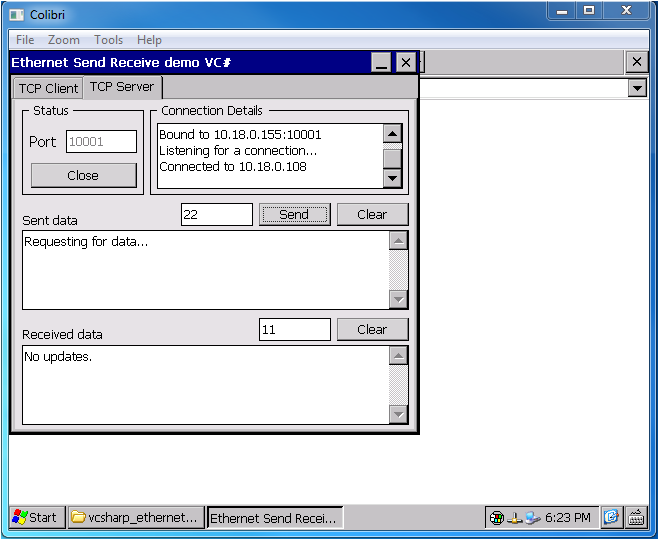 This article demonstrates how data can be sent and received over Ethernet in VC#. Demo application can be downloaded from here. Go to My Device > Program Files > vcsharp_ethernet_client_server_demo and run the application vcsharp_ethernet_client_server_demo.exe. Download any TCP Server application such as Hercules for your development PC . Set the port number and run TCP server. 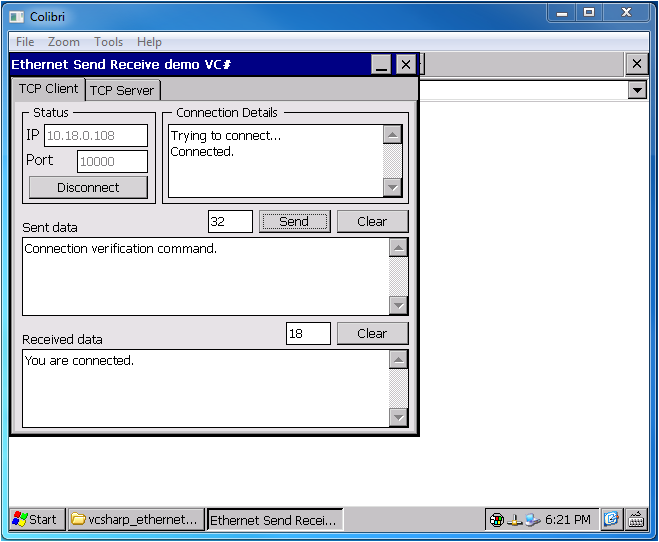 On your WinCE device, run vcsharp_ethernet_client_server_demo application. In TCP Client tab, enter IP address of your development PC and port number for which server is configured and press Connect button. In TCP Server tab, set port number and press Listen button. Download any TCP client application for your development PC like Hercules or Tera Term." Enter IP adress of your WinCE device and port number for which server is configured and press Connect button. Any feedback/question, please send us an email at support@toradex.com.